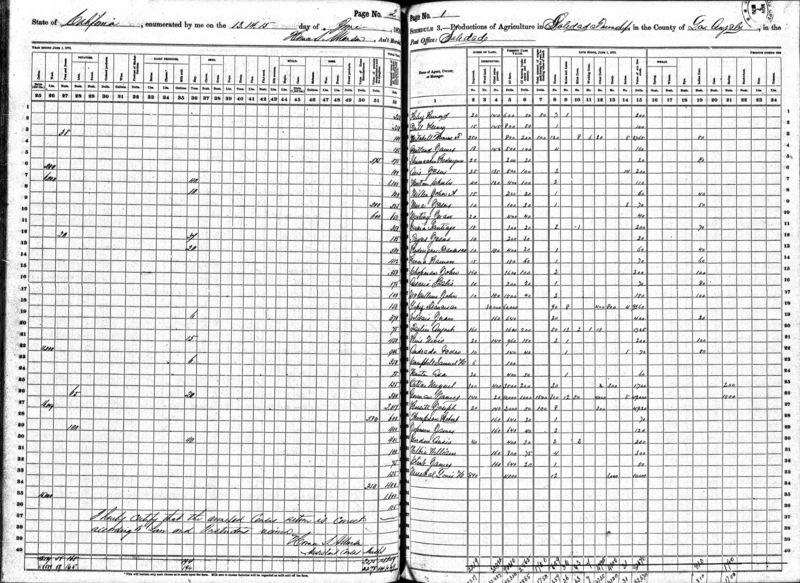 SCVHistory.com | Newly Available Documents Cast Different Light on SCV History | By Dr. Alan Pollack (2014). Newly Available Documents Cast Different Light on SCV History. By Alan Pollack, M.D. | Heritage Junction Dispatch, March-April 2014. 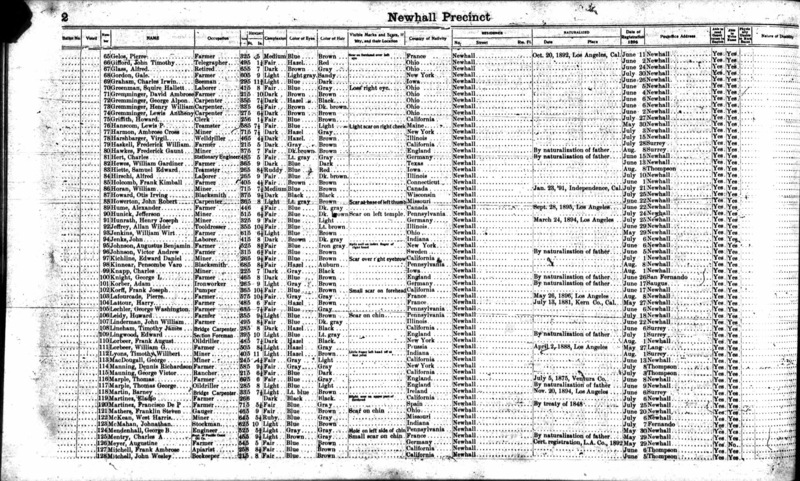 Browsing through the archives of Ancestry.com can reveal a wealth of information about the early days of Newhall. Each document captures a moment in time and paints a vivid picture of the rough-and-tumble pioneer era of the Santa Clarita Valley. 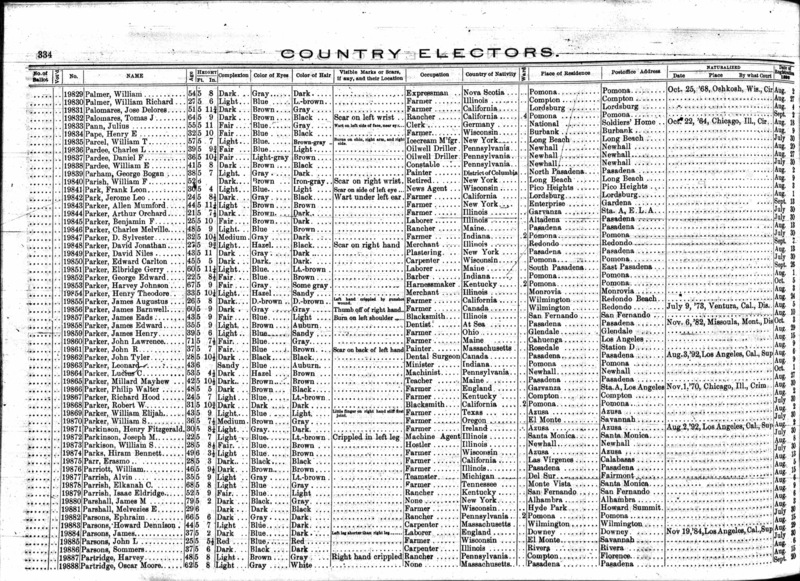 First we travel back in time with the United States Census of 1850. 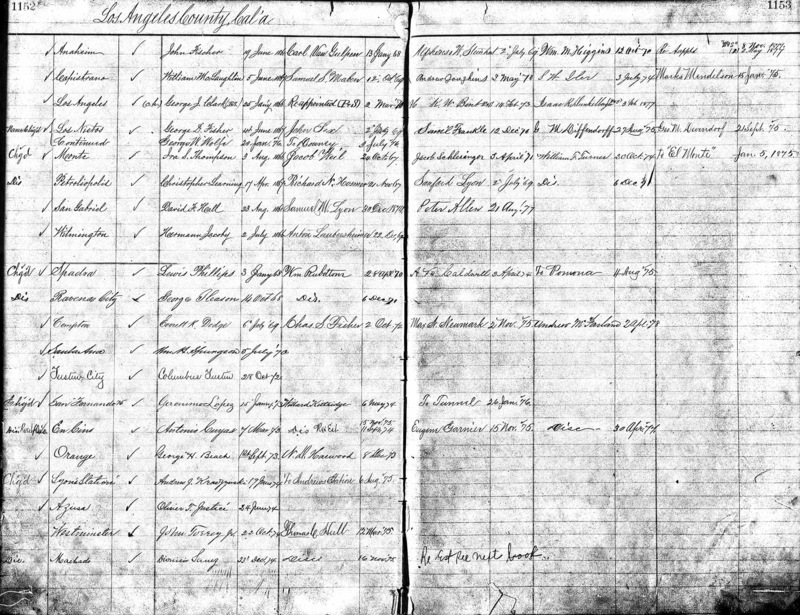 In June 1850, we find brothers Sanford and Cyrus Lyon working as clerks and living at the mercantile store of Alexander and Mellus in Los Angeles. 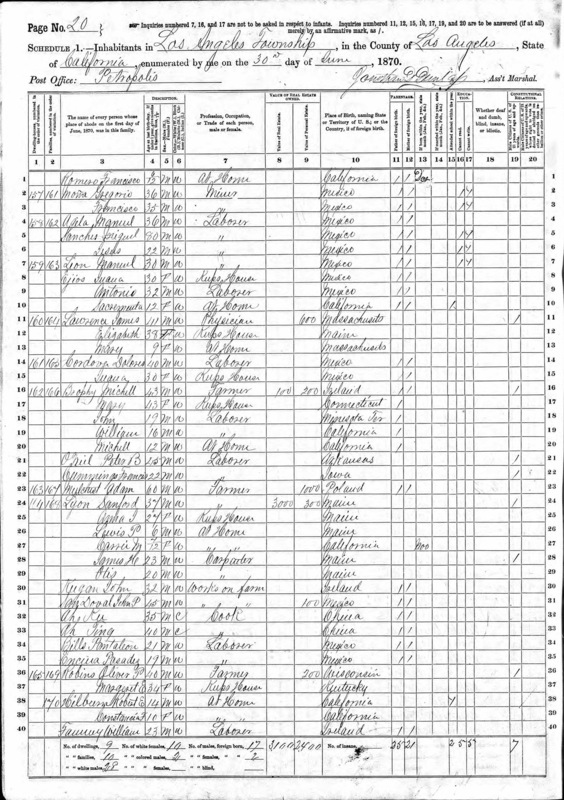 Although they were twins, the census lists Sanford as 21 and Cyrus as 20. The Lyon brothers had just sailed around Cape Horn from their home in Maine as, like many others, they had caught the gold fever of the California Gold Rush in 1849. 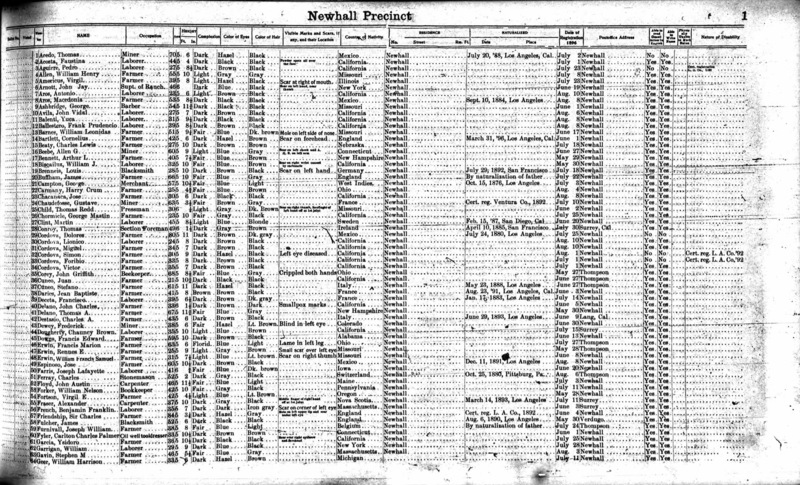 But instead of staking a claim in the gold fields of Northern California, they chose to cast their lot in the small pueblo of Los Angeles where their cousin Francis Mellus co-owned a store with David W. Alexander. 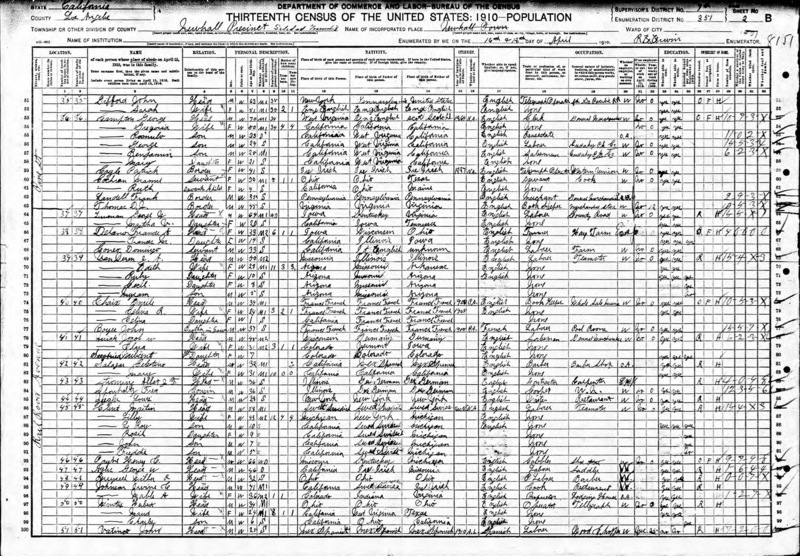 Alexander, shown in the census to be 55 years old and from Ireland, had immigrated to the United States in 1832. 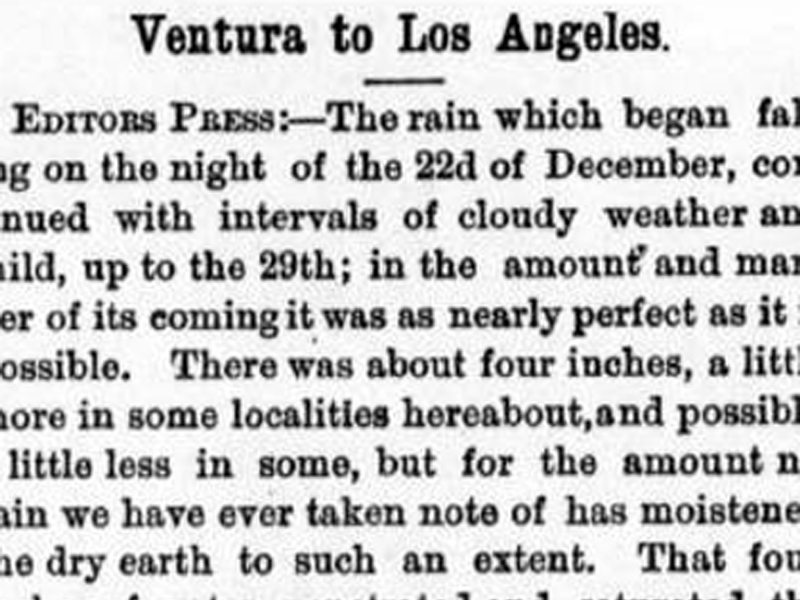 Arriving by wagon train in Southern California in 1841, Alexander eventually ended up in San Pedro where, along with his partnership with Mellus in Los Angeles, he also partnered with famed freighting king Phineas Banning until 1855. In addition, Alexander served as sheriff of Los Angeles County and was a member of the L.A. County Board of Supervisors. When Mellus died in 1864, Alexander took up with his widow, Adelaida Mellus. Resources Used in This Story. • L.A. County (unk. 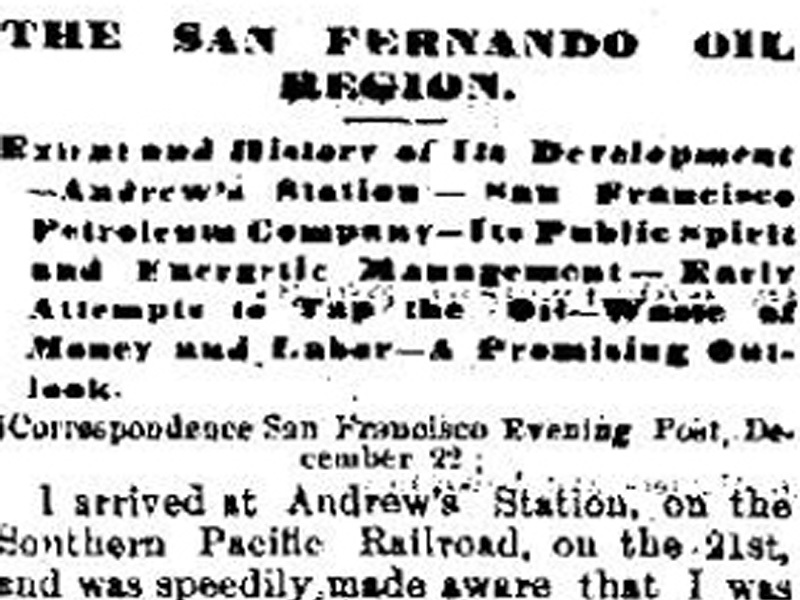 ), Christopher Leaming, n.d.
Alexander and Banning, on a regular basis, drove stagecoaches and freight wagons over the San Fernando (now Newhall) Pass in the 1850s to service Fort Tejon. After hiring Gabe Allen to improve the route over the pass in 1854, Banning took his wild first stagecoach ride as described in Major Horace Bell's book, "Reminiscences of a Ranger." As Bell relates, after ending up in a jumble of chains, harness, coach and mustangs at the bottom of the hill and proclaiming how "easy" the descent was, Banning "sent a courier in hot haste, urging Don David Alexander to send fifty men immediately to repair parts of the road which he had, in his descent, knocked out of joint." Allen and Alexander eventually produced a 30-foot cut in the pass which Edward F. Beale deepened to 90 feet in 1863-64 to create Beale's Cut. The Lyon brothers went on to purchase a building on the Rancho San Francisco which became known as Lyon's Station. 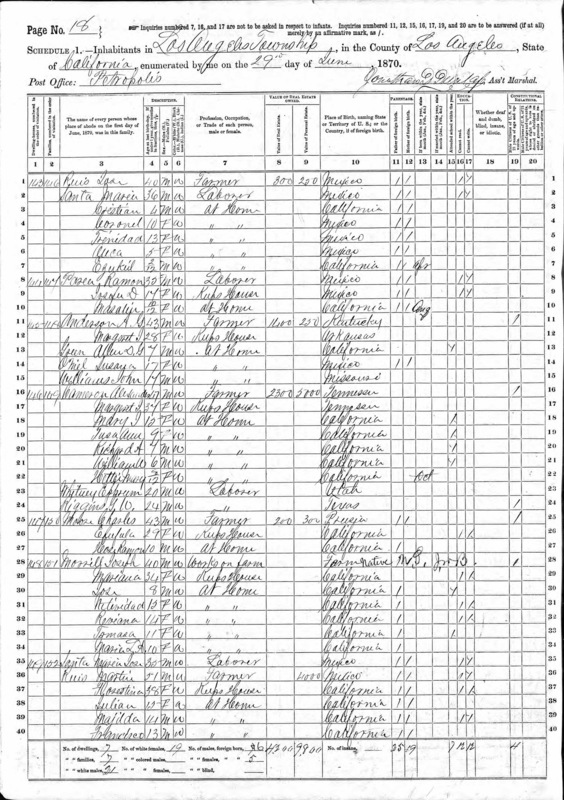 The U.S. Census of 1870 finds Sanford Lyon at Lyon's Station with 60 acres of improved land and 320 acres of unimproved agricultural land. The farm is worth $3,000 with five horses, one milk cow, two "other cattle," 900 sheep, and 3 swine. In contrast, the much wealthier Andres Pico had, at his San Fernando Valley abode, 300 improved and 11,700 unimproved acres worth $100,000. Thomas F. Mitchell, the pioneer of Soledad Canyon, was farming at his ranch along the Santa Clara River with 250 acres of land worth $800. He had 120 horses and 28 cattle on his ranch, along with oxen and pigs. 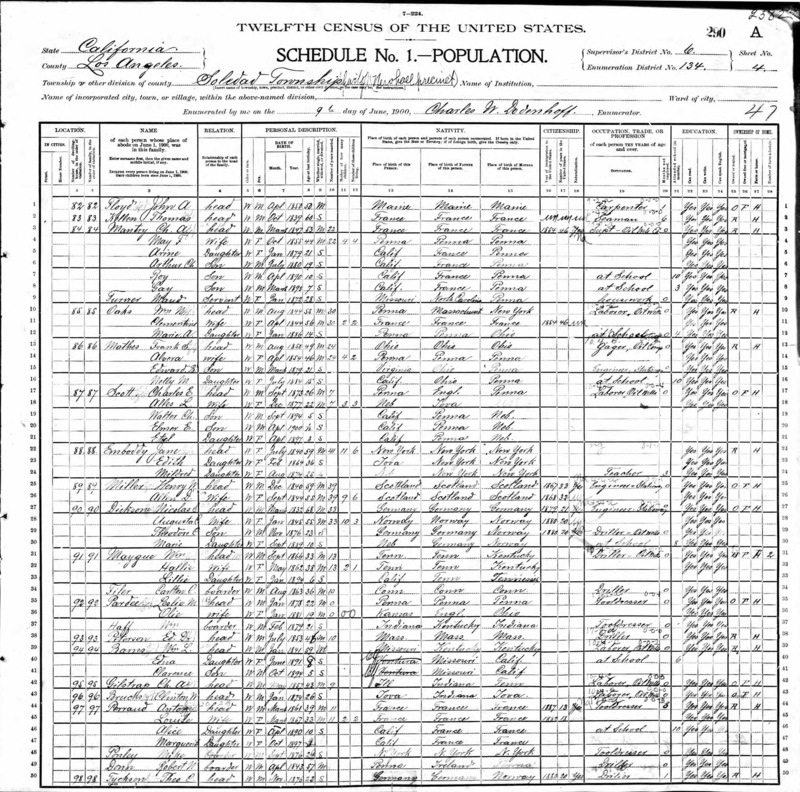 The 1870 census also lists the inhabitants of Los Angeles Township living in the vicinity of the Petropolis post office. Also called Petroleopolis, this post office was set up at Lyon's Station in 1867 and operated until 1871. The name paid homage to the burgeoning oil industry in the nearby hills. Sanford Lyon was postmaster in the final three years of the post office. 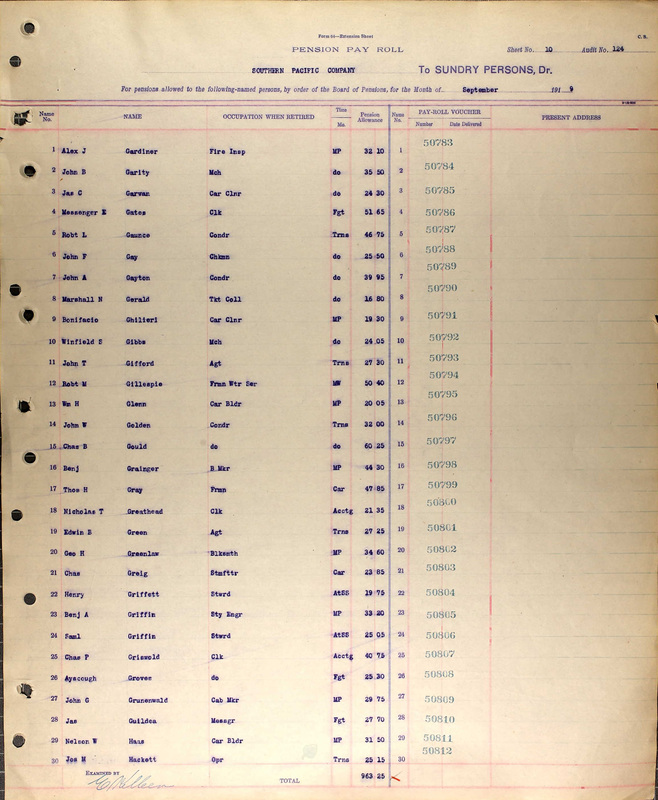 Most of the men are listed as farmers or laborers, with the women "at home" or "keeping house." Only a smattering had attended school in the last year. The majority of people were born in California or Mexico, some having come from states in the East and South. Sanford Lyon, then 37, is listed living with wife Anna and children: Lewis, age 6, Carrie, age 7½, and another relative James H. Lyon, age 23, from Maine. Wisconsin native Oliver P. Robins, age 40, although listed as a farmer, was also running the toll booth for Edward Beale at the base of Beale's Cut. 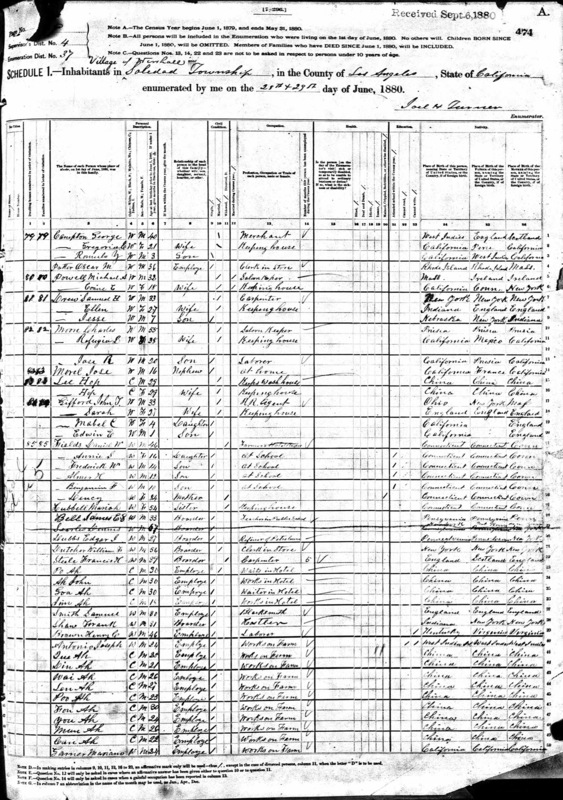 Another document shows that Christopher Leaming, who was involved with the formation of the oil industry in the Santa Clarita Valley in 1865, had been appointed postmaster of the Petropolis post office at Lyon's Station on April 17, 1867, with Sanford Lyon taking over July 2, 1869. 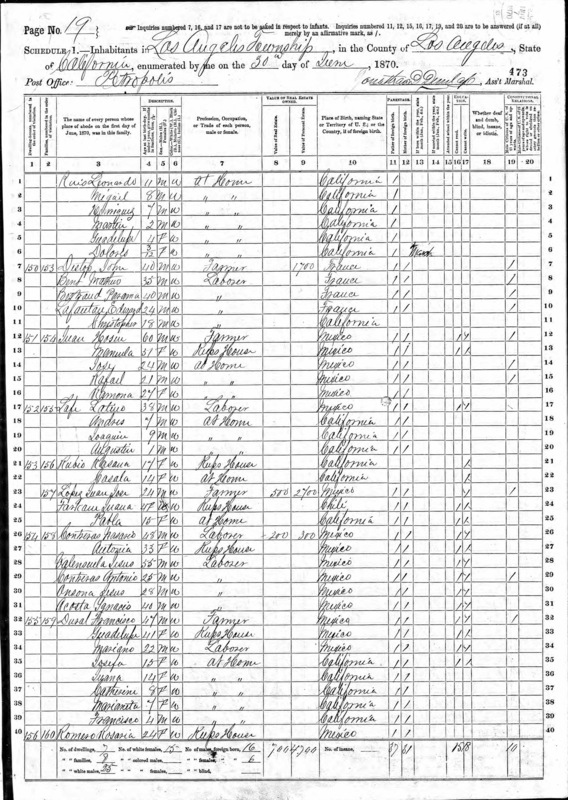 Meanwhile the 1870 Census for San Francisco shows 45-year-old auctioneer Henry M. Newhall living with his Indiana-born wife Margaret, who "keeps house." There were two children in the home, 10-year-old Walter and 8-year-old George. The well-to-do Newhalls also had live-in Irish servants, Kate Carey, 30, and Annie Mally, 23. In addition, they had coachman James Madden, 38, from Ireland. Newhall had real estate valued at $250,000, and his personal estate valued at $750,000. 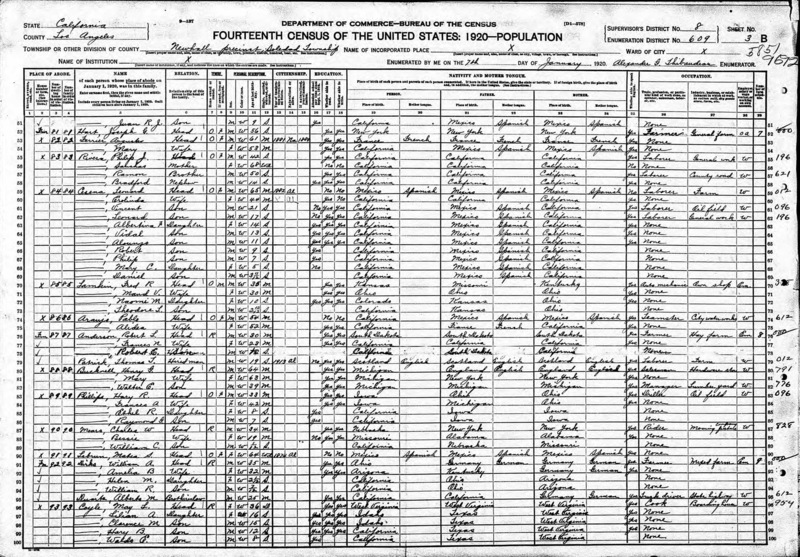 The next highest estate on the census page was $5,000. Margaret was the sister of Henry Mayo's first wife, Sarah Ann White. With Sarah, Henry had three sons, Henry Gregory, William Mayo and Edwin White. After Sarah died, he married Margaret and had his last two sons, Walter Scott and George Almer. 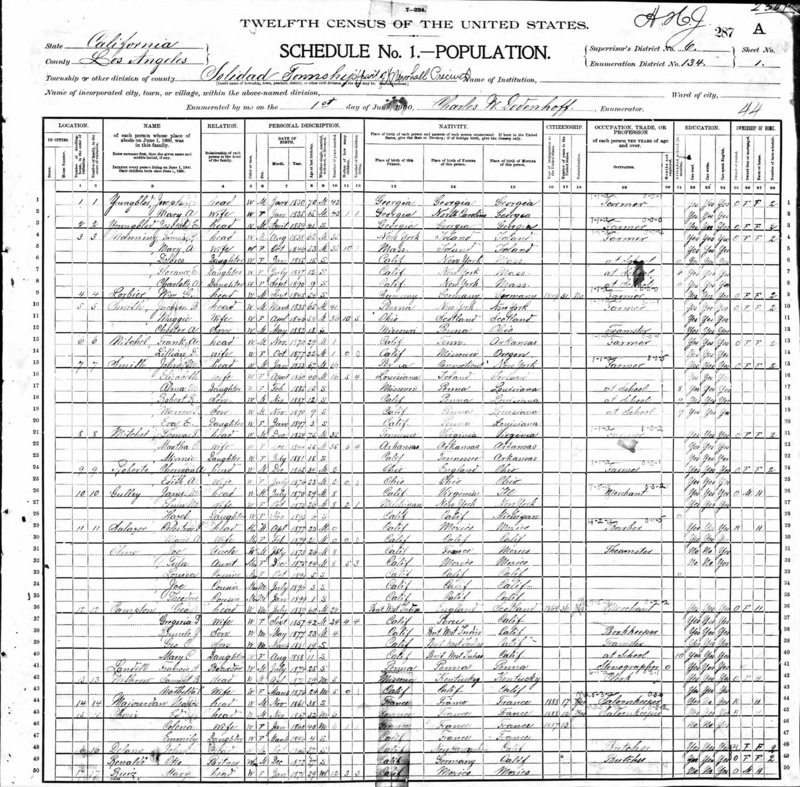 Although Newhall founded the town of Newhall in 1876, he is still listed in the 1880 census as living in San Francisco with Margaret and Edwin. At that time, Edwin worked for his father as an auctioneer. Henry died in 1882 in San Francisco after falling off of a horse in Newhall. The next year, his wife and sons formed the The Newhall Land and Farming Co. Newhall is buried at Cypress Lawn Memorial Park in Colma, San Mateo County. 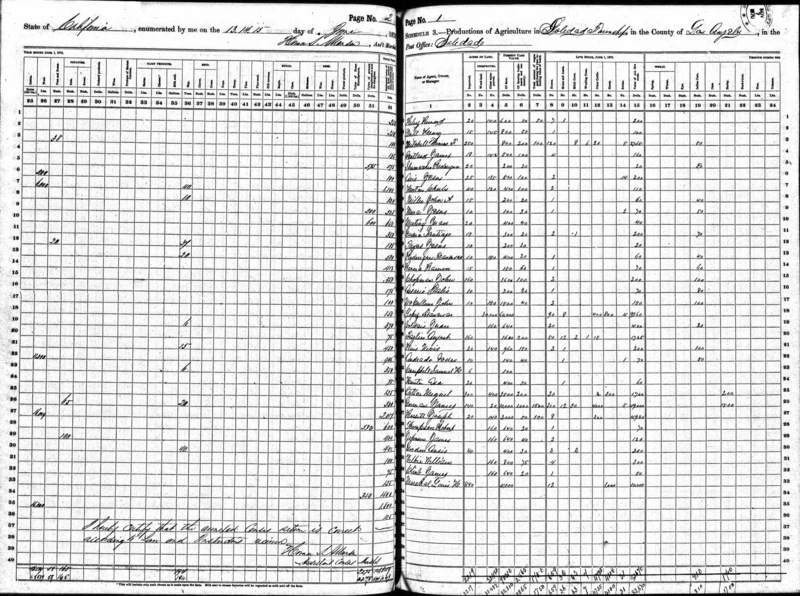 The 1880 census paints a colorful picture of Newhall's Wild West period. 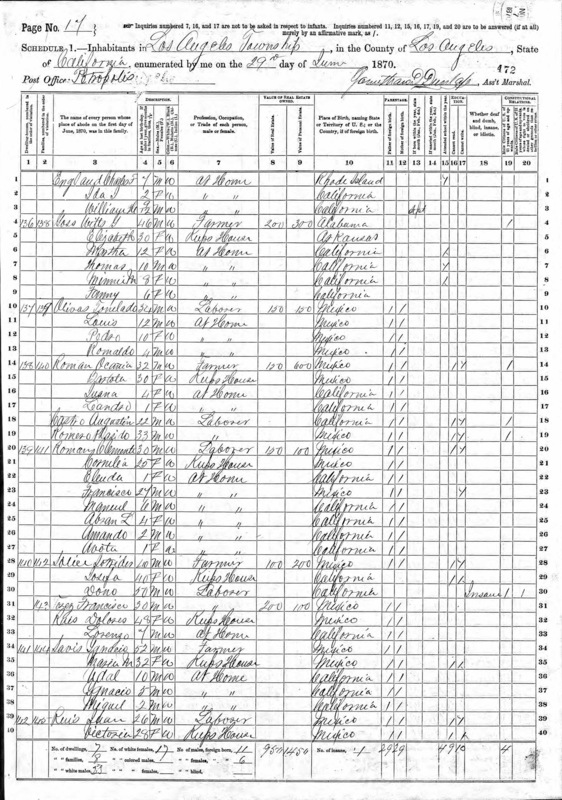 Occupations included merchants, clerks, saloonkeepers, laborers, railroad agents, blacksmiths, farmers, petroleum refiners, a justice of the peace and physician. 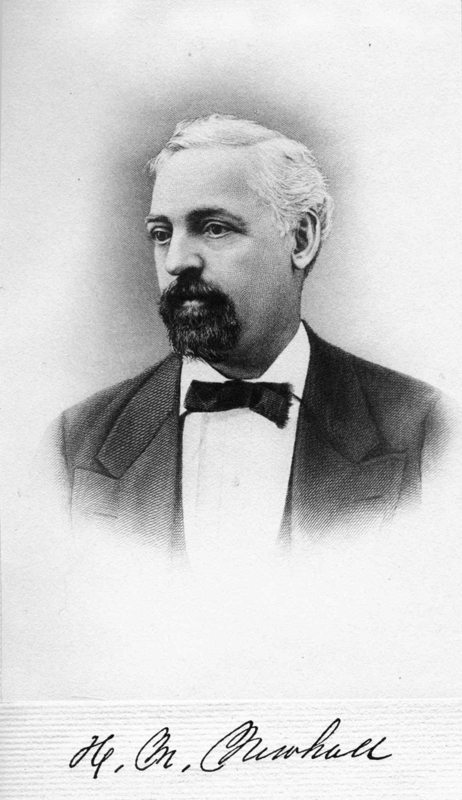 In 1880, George Campton, owner of Newhall's first general store, was living with his wife, Gregoria (a native Californio), and their son Romulo. Also at his residence was his employee and store clerk, Oscar M. Porter. Campton is listed as born in the West Indies. 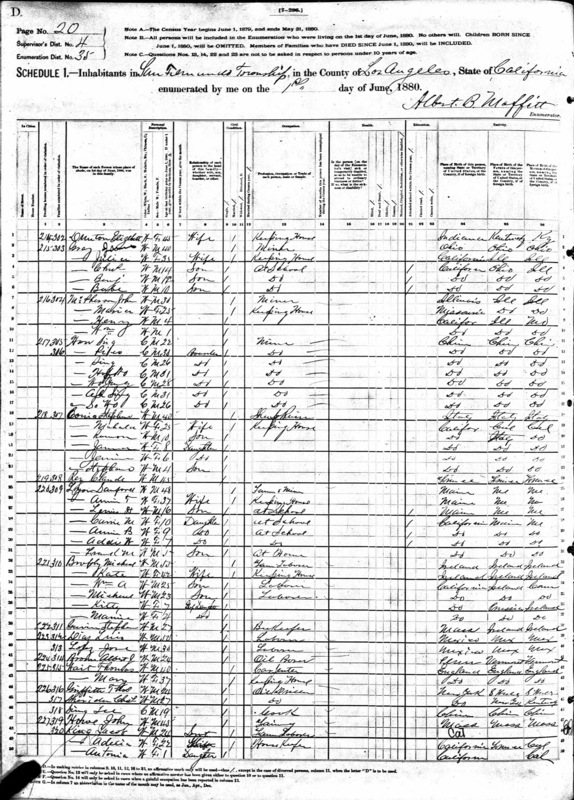 In a passport application from 1919, Romulo states his name as R. Frank Campton and writes that his father was "born in Jamaica, and is now residing at 1663 Echo Park Ave., Los Angeles, California, that he emigrated to the United States from the port of Toronto, Canada on May 12, 1864, that he resided 52 years in the United States from 1865 to 1919 at various points in California and Nevada." 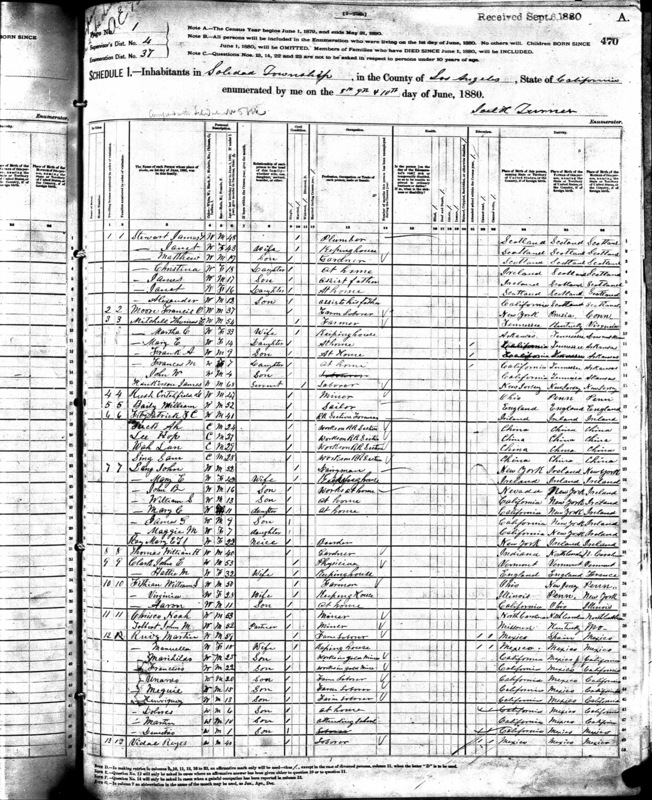 George Campton became a citizen of the United States in October 1876, the same year he opened his general store in the new town of Newhall. 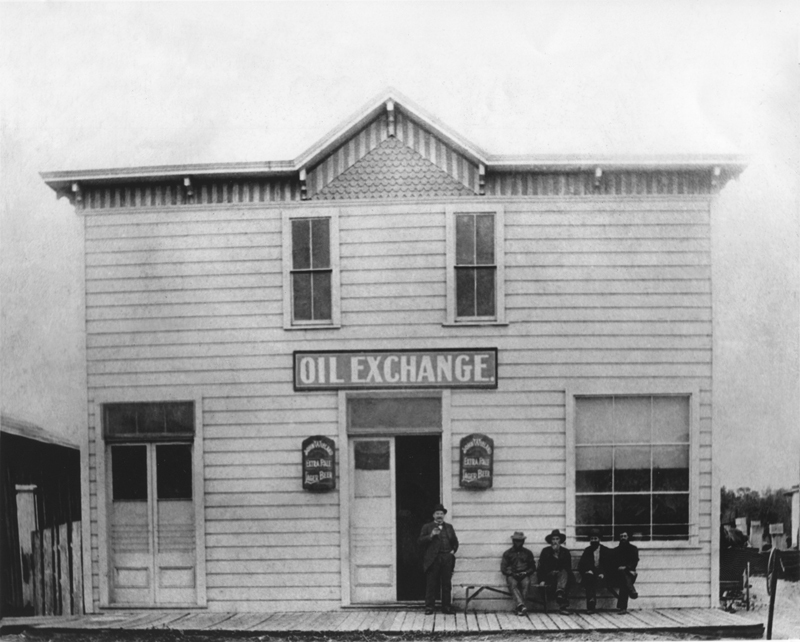 The Oil Exchange (a bar); previously Mike Powell's saloon. 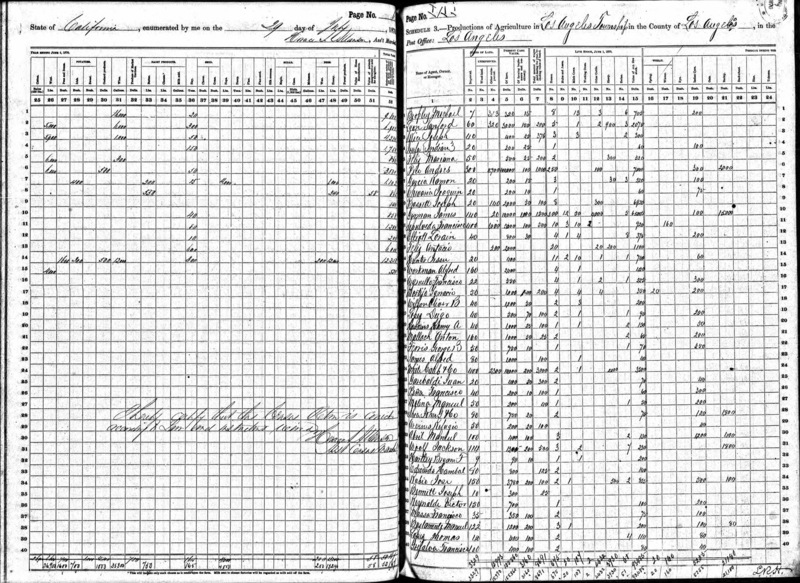 Also in the 1880 census we find 32-year-old saloon keeper Michael Powell and his 18-year-old wife, Corrine. Powell, of Irish descent and born in Massachusetts, ran Mike Powell's Palace Saloon on Railroad Avenue in Newhall. This later became the Oil Exchange saloon. Although we are not certain, he may have been the brother of John F. Powell, one of the earliest Judges in Newhall. Another saloonkeeper in town was 55-year-old, Prussian-born Charles Moore. Chinese immigrant Hop Lee, 29, ran the town's washhouse. John T. Gifford, 33, lived with his wife, Sarah, a native of England, and was the town's first Southern Pacific Railroad agent and telegraph operator. Gifford hailed from Cincinnati. 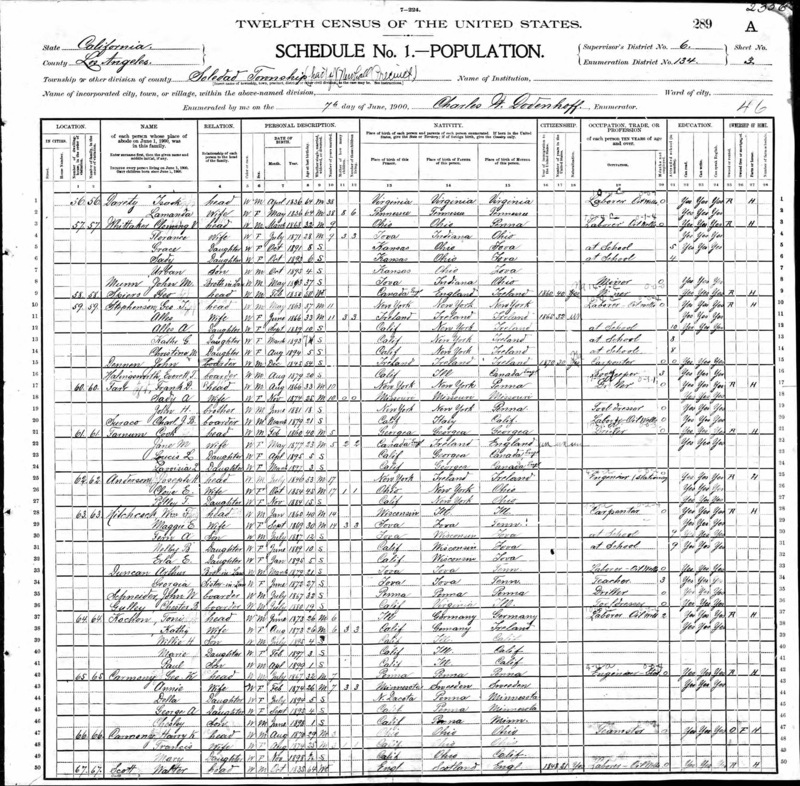 The Giffords had two small children, Mabel and Edward. 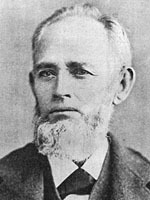 Joel M. Turner, a 57-year-old Kentucky native, was Justice of the Peace in 1880. There has been some historical controversy as to which of Turner, John F. Powell, or a J.D. LaRue was the first Justice of the Peace of Soledad Township. 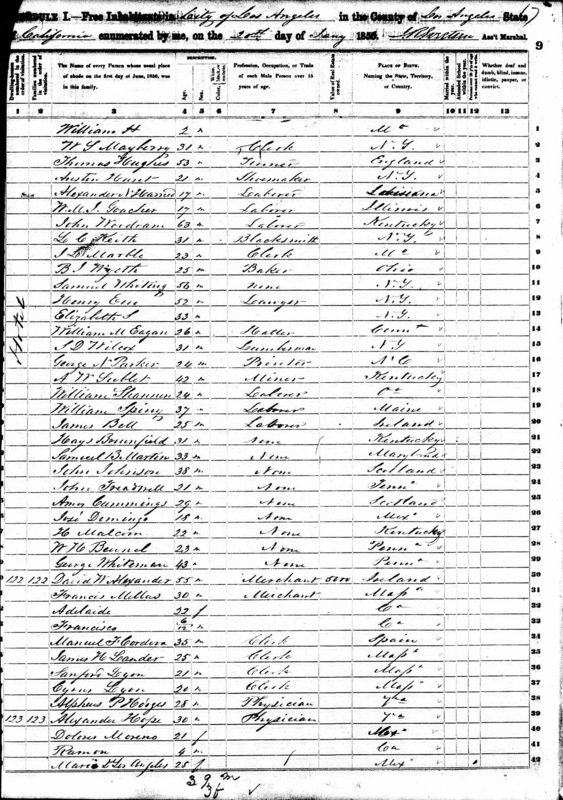 Outside of Newhall, in the Soledad Township of 1880, there were four Chinese immigrants in their 20s listed as "works on RR section." 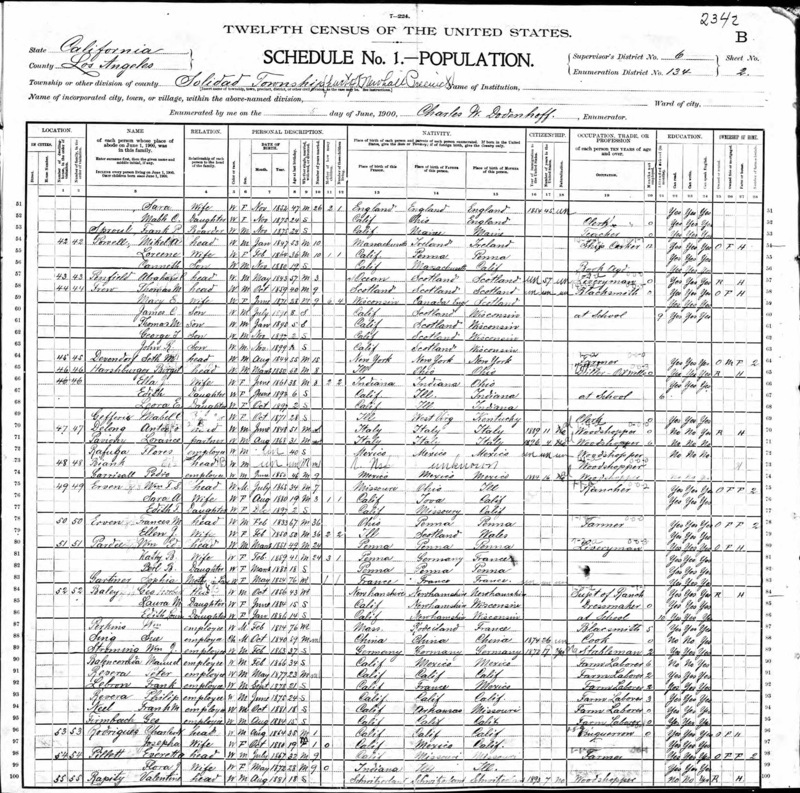 New Yorker John Lang, the founder of Lang Station, where the Southern Pacific was completed in 1876, is documented as a 52-year-old dairyman, married to Irish immigrant Mary, with children John, William, Mary, James and Maggie living at home and ranging in age from 7 to 16. They also had a boarder, Lang's niece, Mary Ray, 22. 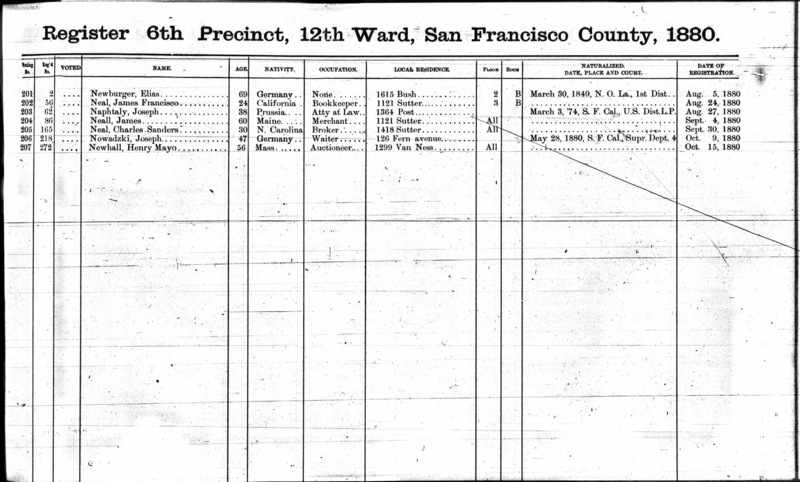 Of note, Sanford Lyon and family are listed on the census for San Fernando Township in 1880. Apparently they moved away from Newhall after Lyon's Station became obsolete with the completion of the Southern Pacific Railroad. 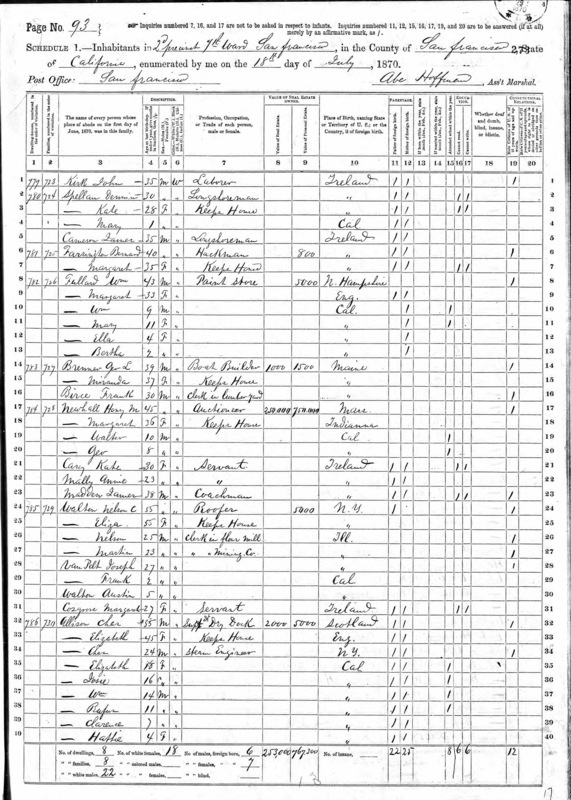 Most interestingly, we see Soledad pioneer Thomas F. Mitchell, a 54-year-old farmer from Tennessee, whose household consisted of wife Martha from Arkansas and children Mary, Frank, Frances and John. 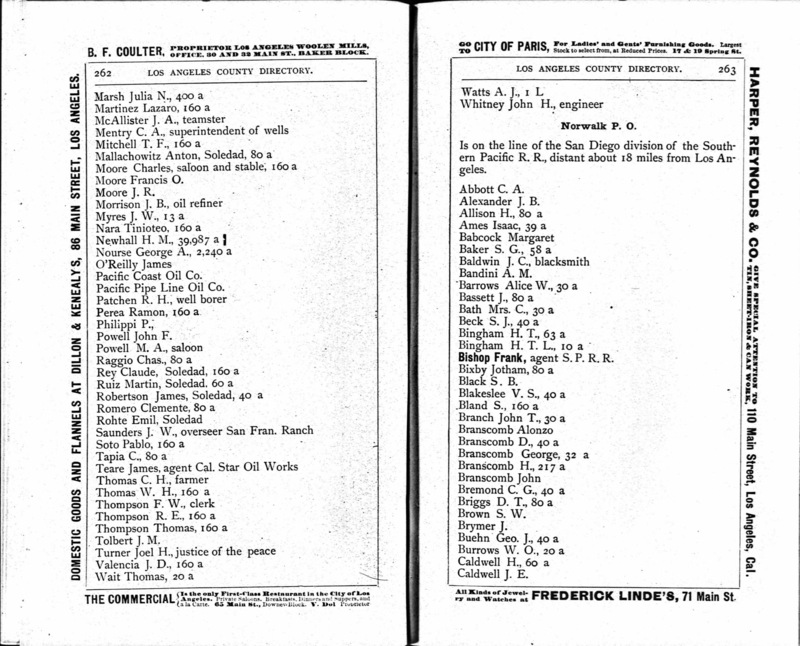 Also in the house was a 68-year-old servant, James Hankirson, of New Jersey. 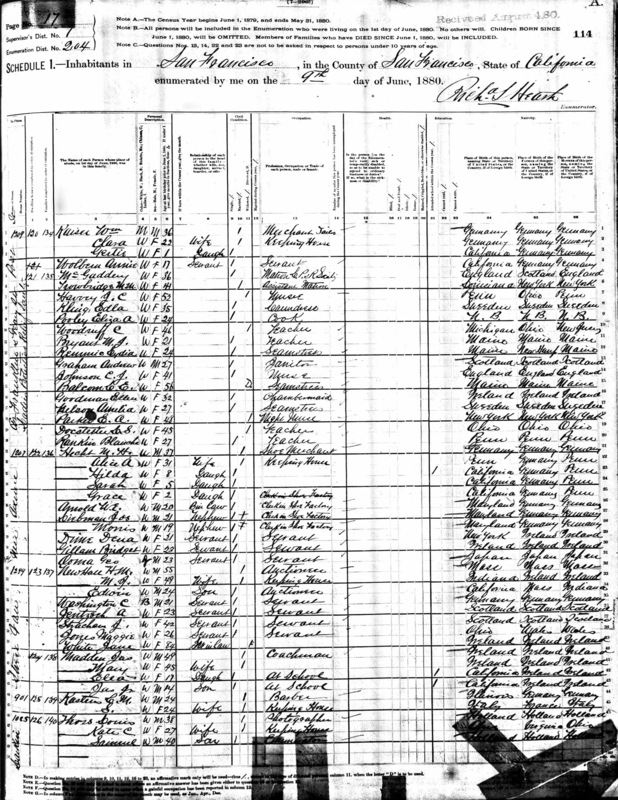 Right next to the Mitchell family is Frances O. Moore, a single 37-year-old farm laborer from New York. 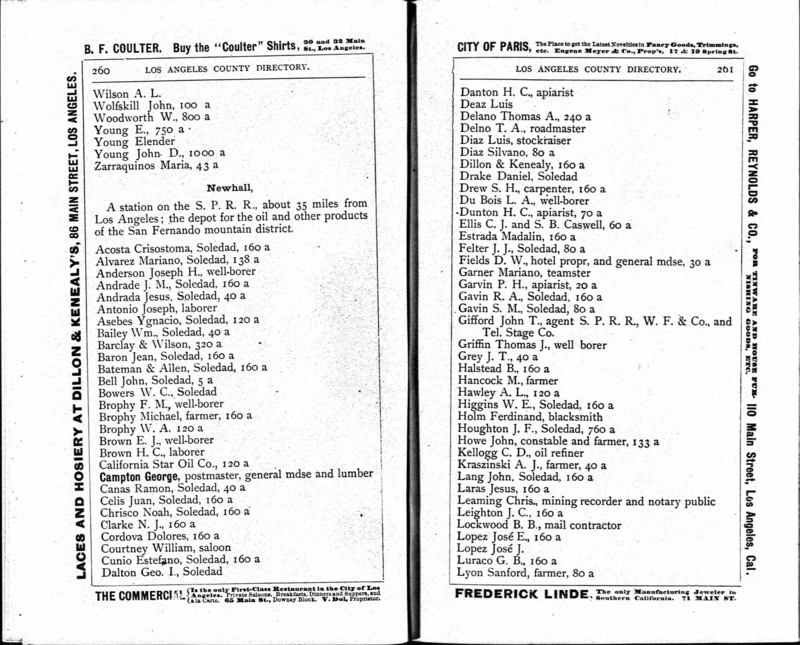 Newspaper reports in the Los Angeles Times and Los Angeles Herald during June 1883 show that Mitchell apparently shot and killed Moore after a longstanding feud related to some trespassing livestock and a land dispute between the neighbors. Although a coroner's jury concluded Mitchell had indeed killed Moore with a shotgun, there is no evidence that Mitchell was ever convicted of a crime. With these documents, we gain valuable insight into what life really was like in the old days of the SCV. It is a fascinating journey of exploration and detective work to see what might still lie beneath the surface of our knowledge of local history. Stay tuned. 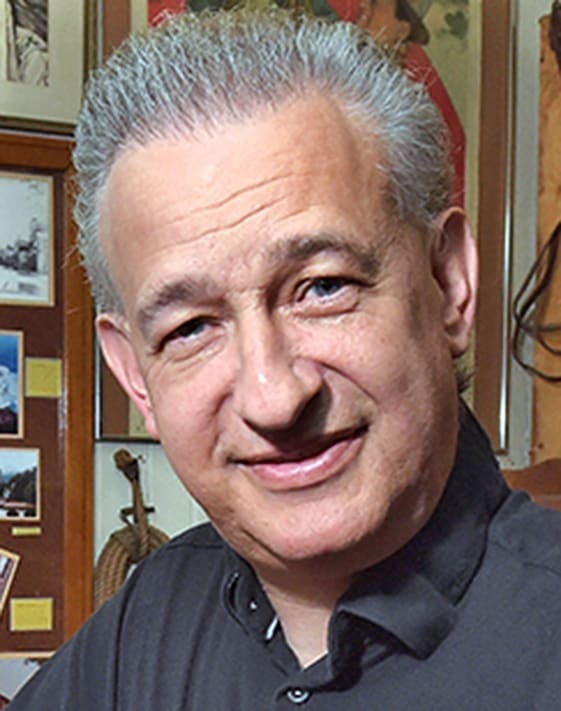 ©2014 | Alan Pollack, M.D., is president of the Santa Clarita Valley Historical Society.